FightVG: Quick Tidbit: Maximilian tells Yoshinori Ono "We want Street Fighter Alpha 4"
Quick Tidbit: Maximilian tells Yoshinori Ono "We want Street Fighter Alpha 4"
Maximilian (pictured above) is making it clear that he would like to see the return of the Street Fighter Alpha series. The popular fighting game community member even tweeted to Capcom's Yoshinori Ono about his desire to play Alpha 4. 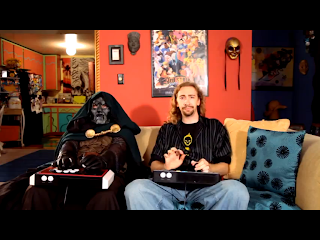 How bad does Maximilian want Street Fighter Alpha 4? Bad enough that he sent a tweet to Street Fighter IV and Street Fighter x Tekken producer, Yoshinori Ono. When Ono asked if fans wanted to see Super Street Fighter IV: Arcade Edition 2013 or Street Fighter Alpha 4, Max responded on Twitter. @yoshi_onochin @vzis We want Street Fighter Alpha 4!